Even France’s influential and right-wing extremist Front National is attempting to take advantage of the Paris attack. The party’s leader Marine Le Pen on Twitter called for a reintroduction of the death penalty and is calling for a referendum on the issue. 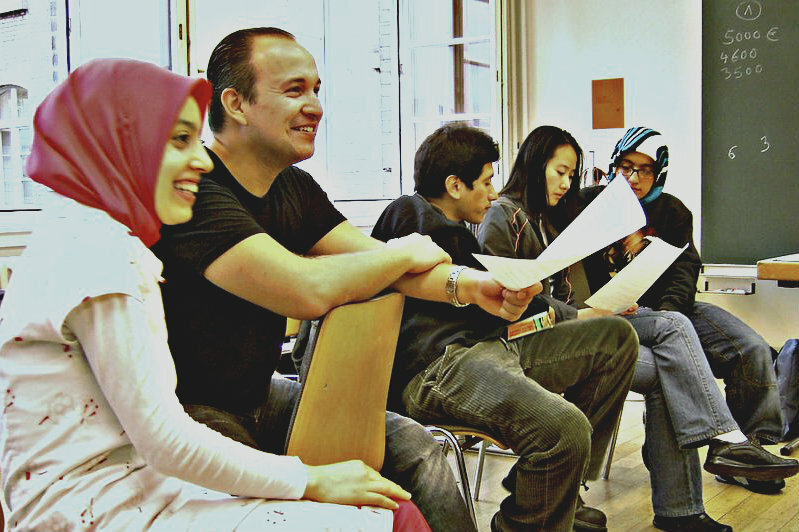 Germany's Turkish community has around 3 million members. In the 1960s, Germany, the Netherlands, Belgium and France asked Turkey to provide a labour force for their booming employment markets. Hundreds of thousands of Turkish 'guest workers' followed. However, following the economic downturn of 1967, Western European countries stopped issuing work permits. Following the 1973 oil crisis, they declared that they had abolished immigration for employment purposes. According to the results of an Interior Ministry study released in 2010, Turks are the minority group in Germany with the most pronounced integration problems. The study said around one in five Turks living in Germany spoke either "bad" or "no German at all" and that language difficulties were the main obstacle to the successful integration of Turkish immigrants. Don’t equate a negative attitude towards Mohammedanism with racism, they are two different things. I find this article very unhelpful. Are we discussing people who call themselves “Moslem” or are we discussing orthodox Islam? If it is the latter we are talking about a belief that the best form of religious/political organisation is to be governed by Sharia law . Unfortunately Sharia is incompatible with western liberal values as regards freedom of religion, freedom of speech, and the treatment of women and homosexuals. I happen to think that the main issues for European “moslems” tend to be cultural rather than religious and to do with lack of educational attainment, unemployment and identity. However, to pretend that there is no conflict between orthodox Islam and western liberal values is absurd.